A leading technology firm is providing companies at a County Durham business park with cutting-edge internet connectivity. Gateshead-based Aspire Technology Solutions is working in partnership with Seaham’s Spectrum Business Park, to deliver high speed, private internet connections to its tenants. And that means the park now has even more to offer businesses and companies thinking of moving to the site. Aspire Technology has been brought on board as Internet Service Provider (ISP), delivering leased lines to a number of high profile firms which have chosen to make Spectrum their base. The leased lines – also known as private circuits – give dedicated, fixed bandwidth connectivity which allows for fast but completely secure data transfer. 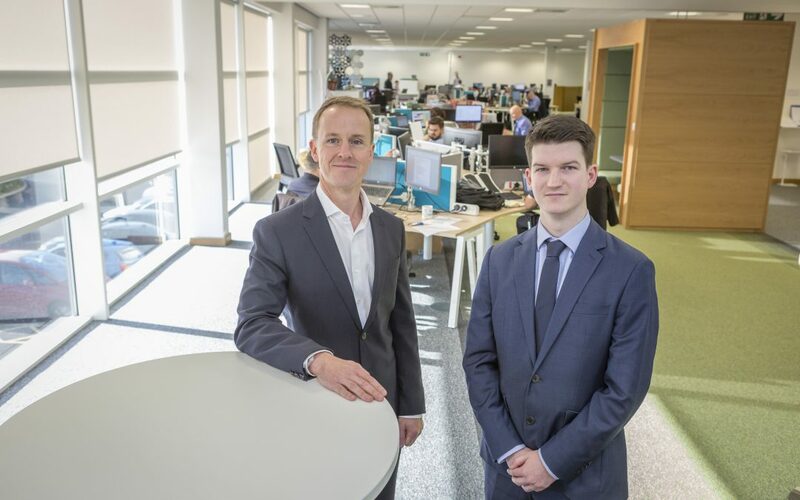 “We are delighted to be working with Spectrum Business Park to supply high end companies with unrivalled internet connectivity,” said Oliver Birleson, account manager for Spectrum Business Park at Aspire Technology Services. Spectrum Business Park is already home to a number of high profile tenants such as Northumbrian Water, Great Annual Savings Group, BE Group, Res Q and County Durham Housing Group, and offers corporate office space, serviced offices and conference facilities. Firms can choose their own internet service provider, but more and more are now opting to work with Aspire. “We are finding that more and more of our tenants are choosing Aspire, and that’s mainly down to word of mouth from happy clients,” said Paul Wellstead, developer at Spectrum. “When they arrive here, we let them know about Aspire and what it can do for them, but they are free to work with whichever company they want. Based at Heworth Hall, Gateshead, Aspire Technology Services offers a range of services including hosted services, data centre solutions, communications and IT support. It boasts clients across a number of sectors including as business, sport, law, waste management and entertainment.